Today, Donald Trump will swear the oath of office and become president of the United States. His ascent would not have been possible without the years of vitriol that the right-wing media directed at his predecessor. That hatred of President Obama, and the related scorched-earth efforts to smother his agenda, prepared the way for Trump. Many Republican voters became, in the words of one conservative writer, “just increasingly divorced from reality” after spending years in the right-wing echo chamber. In the first months after Obama’s election, as the president sought solutions for the most immense economic crisis in decades, conservative media became completely unhinged. Violent, doomsday rhetoric and overt appeals to feelings of anger and paranoia in their audience became regular features of commentary across the full spectrum of the right-wing press. While the level of demagoguery waxed and waned over the years, the hatred and fear that had been unleashed never dissipated. The GOP establishment was all too willing to go along with “the rage and unreason of radio talkers” as long as they could keep them pointed at liberals. Then Trump came along, a candidate who had repeatedly questioned whether Obama was eligible to be president in the first place, and stole the base right out from under them. And once Trump was a major party candidate, he had a pretty good shot of becoming president, especially after receiving a massive volume of coverage from a press that was unwilling or unable to properly contextualize his candidacy. Five days before Obama’s 2009 inauguration, the nation was in dire straights. A financial crisis had sent the economy into a tailspin, triggering massive job losses and a plummeting stock market. The banking system was still on the brink of failure. The auto industry was on the verge of collapse. 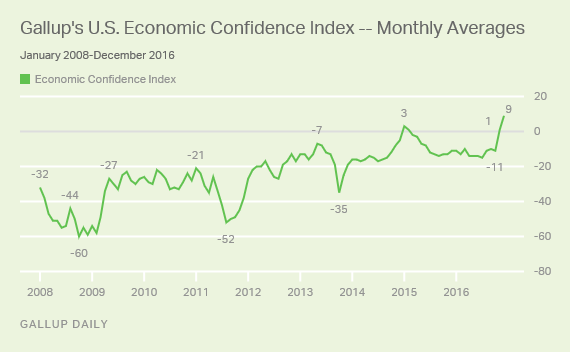 Americans were rightly frightened of the immense economic insecurity, but broadly supportive of the new president who promised to right the ship. Over the next few months, Limbaugh would continue to state that he wanted Obama to fail. When other prominent Republicans offered criticism of the radio host, he would blast them on his show; his audience would flood their offices with calls until they were forced to apologize. In a sign of things to come, even the chairman of the Republican National Committee had to grovel before the man with the microphone. That same month, Fox News Chairman Roger Ailes sat down with another right-wing radio host, Glenn Beck. After spending two years at HLN, Beck was about to debut his new Fox show, and he was worried that Ailes might not be willing to give him the leeway to go after the incoming administration. “I see this as the Alamo,” Ailes reportedly told Beck. “If I just had somebody who was willing to sit on the other side of the camera until the last shot is fired, we’d be fine.” A partnership was struck. Fox executives later acknowledged that the network took “a hard right turn” after the election and become “the voice of opposition” to Obama. As a presidential candidate, Obama had frequently been subject to a hefty dose of conservative media vitriol. Given that Obama was the first black major party nominee and had the middle name “Hussein,” a lot of that vitriol was racist or aimed at falsely suggesting he was a Muslim. The fearmongering took off as the election approached, with conservatives baselessly warning that he would be a dictator. But in the first 100 days of his administration, following the lead of Limbaugh, Ailes, and Beck, the floodgates opened. As the Obama administration took control of the reins of government and began trying to halt the worst economic crisis since the Great Depression, the right-wing media reviews rolled in. The new president was a Marxist. And a fascist. And a Nazi. And a Maoist. And a Bolshevik. And a Trotskyite. “Is this where we’re headed?” asked Beck over a montage of photos of Hitler, Stalin, and Lenin. Obama’s aim was “destroying our economic system as we currently know it.” His financial rescue plan was “Josef Stalin without the bloodshed.” It was also socialism. So was his economic recovery plan (unless that was really communism. Or fascism. It was definitely slavery). The auto industry rescue made him a mob boss. So did his labor proposal. His cabinet secretaries were Soviet commissars. He was “more sympathetic with the long-term goals of world communism, and … Muslim terrorists, than with any legitimate American goals.” He was embracing “the agenda of the Muslim Brotherhood” and preparing to “sell us out” to the Islamic world. After weeks of hearing that Obama was planning to destroy the country, right-wing media’s audience members were ready for action. They got their opportunity after CNBC contributor Rick Santelli’s denunciation of Obama’s housing plan from the floor of the Chicago Board of Trade went viral on February 19, 2009; Santelli’s rant culminated in a call for viewers to join him to protest at a “Chicago Tea Party” on the shores of Lake Michigan. Within days, powerful national conservative organizations backed by corporate interests and wealthy right-wing donors started organizing a nationwide series of “Tax Day Tea Parties” to protest the Obama administration, leading up to and culminating on April 15. Fox News — the “voice of opposition,” Ailes’ “Alamo” — became the focal point, megaphone, and chief promoter of the nascent tea party movement. The network’s hosts and anchors championed the protests in dozens of segments and promos in the following weeks, hosting protest organizers for fawning interviews, providing their audience with protest dates, locations and website URLs, and encouraging viewers to join them at protests they were attending and covering. At times, these events were openly branded as “FNC Tax Day Tea Parties.” In turn, organizers used the scheduled appearance of Fox hosts to drum up more attendees. Again, this all happened in the first 100 days of Obama’s tenure. The years to come would see right-wing media flirt with a host of absurd Obama conspiracies; claim over and over again that he intended to create “death panels”; and try to bury Obama’s nominees under an avalanche of false smears. Fox News went all-in as the research and communications arm of the GOP. Glenn Beck called Obama a racist, used his paranoid anti-Obama rants to become a conservative grass-roots leader, attacked a liberal foundation with such heat that one of his heavily armed fans tried to storm its offices, lost all his major advertisers, and eventually left Fox. The “end of America as you know it” was always just around the corner. President Obama’s Marxist/communist/socialist/Leninist/Maoist/Trotskyite/Stalinist administration resulted in the longest streak of private sector job creation in our nation’s history, with more than 15 million private sector jobs created since the recession’s low point in 2010. Under his tenure, the stock market reached record highs, with the Dow Jones Industrial Average more than doubling since he was sworn into office. In the wake of Obama’s re-election, The Onion proposed that a “shrieking white-hot sphere of pure rage” would be the 2016 candidate “that would tap into Republicans’ deep-seated, seething fury” after the GOP failed to oust Obama in 2012. It was a very funny joke and we all had a good laugh and then the Republicans nominated Donald Trump and he was elected president. Why Trump? Because, better than anyone else in the Republican field, he could appeal to the hatred of Obama that conservatives had spent years stoking. Who could do better than someone who had prominently, and repeatedly, questioned whether Obama had been born in the United States? Trump launched his recent political renaissance by hitching his wagon to the birther movement, a collection of fringe right-wing figures entranced by a racist conspiracy theory: Obama was not constitutionally eligible to be president because, in spite of all available evidence, he hadn’t really been born in this country. In this twisted worldview, Obama wasn’t just destroying the country — he also had no right to its highest office in the first place. The birther movement would discredit itself again and again over the years, with adherents suggesting that they had uncovered Obama’s “real father,” claiming that the Certificate of Live Birth Obama produced during the 2008 presidential campaign was forged, releasing an obviously fake Kenyan birth certificate for Obama, and declaring that Obama was hiding his birth certificate because it revealed he was Muslim. But a big chunk of Republican voters, including a contingent of GOP members of Congress, still bought into the myth. Those conservatives were overjoyed when Trump came forward and became the leading voice of the birther movement, raising questions about Obama’s birth certificate in a series of 2011 interviews. Fox News promoted Trump’s claims in dozens of segments, and several of the network’s hosts joined in, suggesting that Obama’s birthplace was in doubt. Obama released his long-form birth certificate later that year. But Trump never backed down. He immediately suggested the document was fake, and he spent years promoting birther conspiracies in interviews and on Twitter. After years of listening to anti-Obama vitriol from right-wing talk radio and television hosts, conservatives wanted someone who could match that hate. They found him. And today, he’s the president. Since 2008 the Democrats have lost 1000 seats in State and Federal government seats. People are sick of political correctness and being told how terrible they are for being successful. People don’t like the government telling them their daughters must share the public bathrooms with men. Small business is sick of being told who they can serve in their own business. People are sick of illegal immigrants being given free healthcare, housing, food, education. Now we are entering a new era of hope and more freedom. It’s called RACISM. Donald Trump is a racist. His father was a racist. Trump has aligned himself with KKKers and white supremacists. Racists like itsfun try to portray this racism as states’ rights or individuals right to discriminate, but what it is is plain old ugly racism and bigotry. It’s more than simple racism. The RWMO hates the Clintons with equal fury. Equally the RWMO loves Black Guys who follow their line. Looking forward, the RWMO will attempt to destroy every Democratic leader, regardless of race. The attacks may be individualized but all will be targets. They obviously don’t like people who are caring and decent. Obama’s administration had tried very hard to revitalize the rust belt and inner cities. Several initiatives were initiated including the Economic Development Administration, Partnership for Opportunity and Workforce and Economic Revitalization (POWER), Investing in Manufacturing Communities Partnership (IMCP). However, these initiative were not sufficiently funded because of the republican control of Congress. The Republican Leaders were blinded by their racism against a black President. You are dishonest in not mentioning the decades of lying scandal mongering the Right had dedicated to destroying Hillary Clinton, lies that were supported by the misogynists in mainstream media AND, most shamefully the misogyny of the “Independent,” Sanders and 3rd Party Left, aimed at defeating the first woman to be nominated by a major party. As long as the Left refuses to honestly confront misogyny — especially its own — progressive progress will be weakened and conservative extremism strengthened.